Happy Black Friday Day After Thanksgiving, everyone! My husband and I flew to St. Louis yesterday to visit with my parents for a few days and had a lovely dinner with them last night (thanks, Mom!). 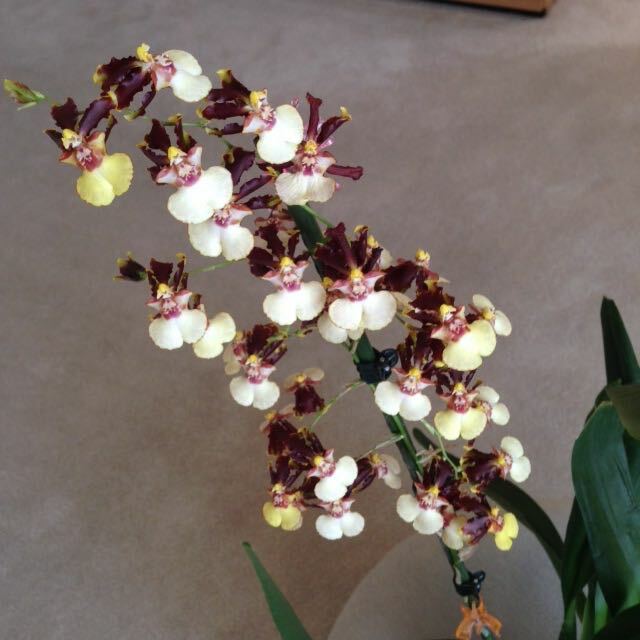 Like me, my mom is an orchid enthusiast, and she currently has 15 orchids in the house. They’re spread out over a few different rooms, but most of them are getting southern exposure and are looking quite well. Two of them are blooming like gangbusters at the moment, and they’re so gorgeous that I wanted to share! Apologies for the iPhone quality photos—I actually FORGOT to pack my camera for this trip! Who am I?! I never forget my camera! 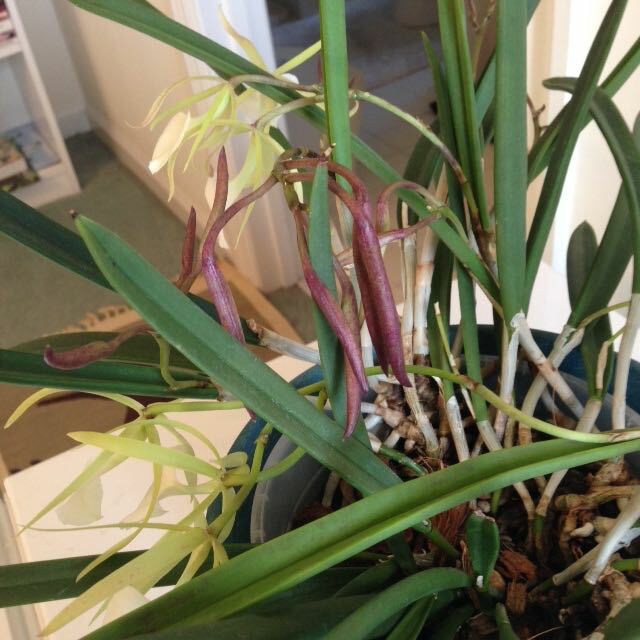 A very nice-sized orchid plant! I know…I’m in love, too! 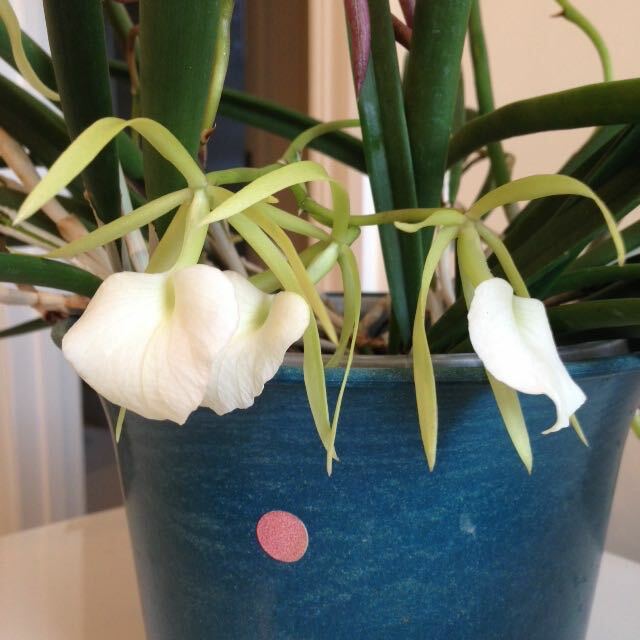 Next is the Brassavola nodosa ‘Little Stars’ which seems to be in bloom every Thanksgiving visit without fail! 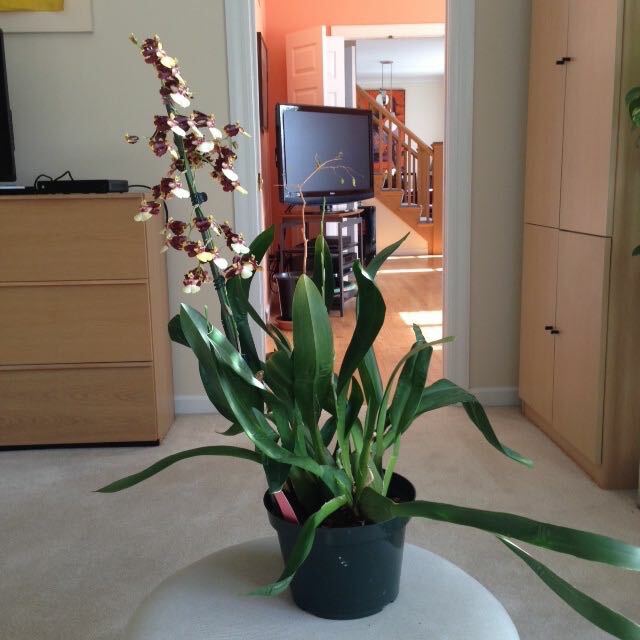 This orchid keeps getting bigger every year! The flowers are very fragrant at nighttime. 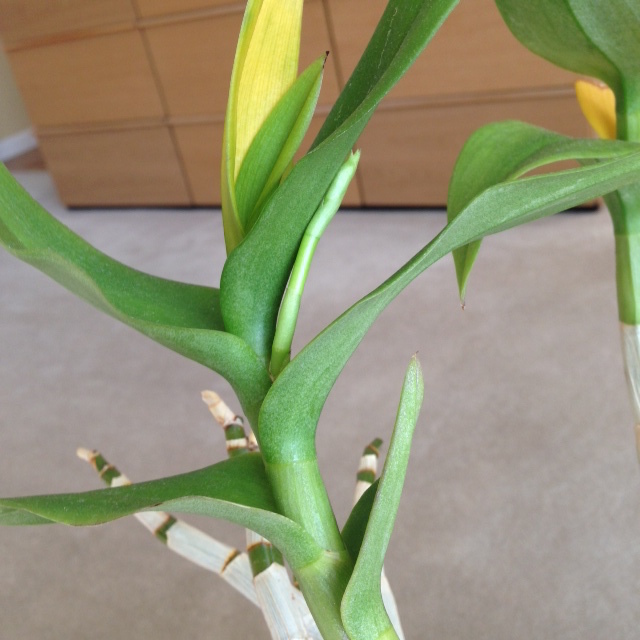 Tons of spikes & buds growing on this plant! 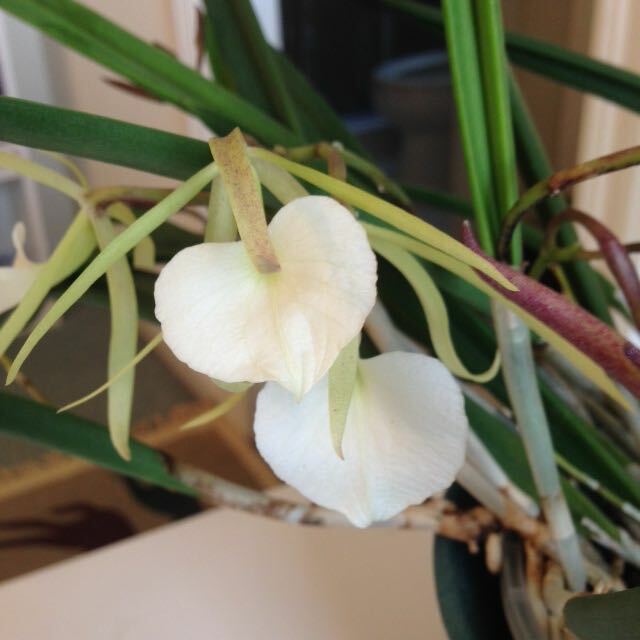 The B. nodosa’s spikes and buds are simply covered in happy sap, which you can maybe see a bit of in the first and last photos above—so you know this orchid is in really good shape! 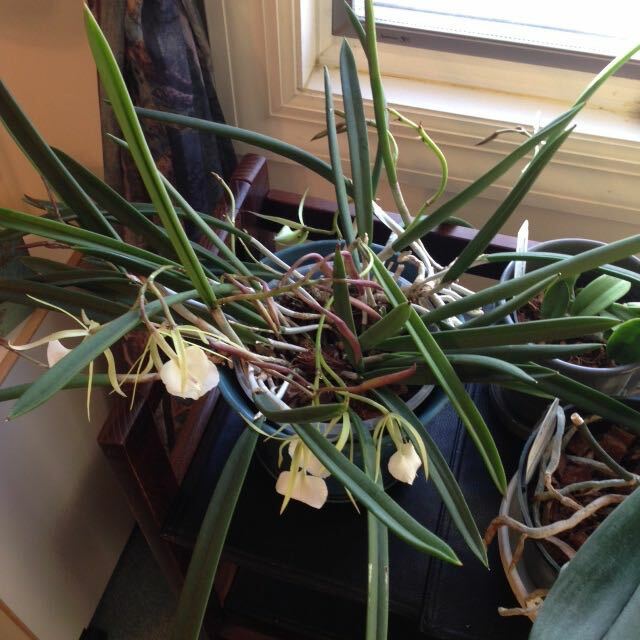 There’s definitely more going on with my mom’s orchids in Creve Coeur (a St. Louis suburb) than in my Park Slope apartment. Granted, I don’t have central heating and air in my apartment so it’s much harder for me to control the temperature and humidity in my little orchid room. At least I have one new Phal in spike right now! Hope you all had a happy and safe Thanksgiving. Enjoy the rest of the holiday weekend with your loved ones!